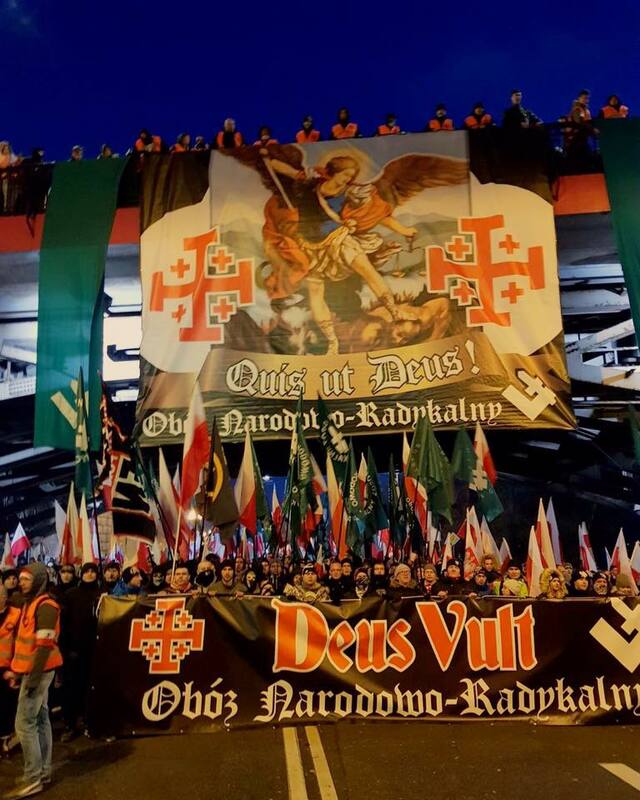 The hugely successful Independence Day march in Warsaw on 11th November, attended by more than 60,000 patriotic Catholics, earned a vicious storm of lies and gross distortions from an extremely hostile anti-Catholic Western Mass Media. 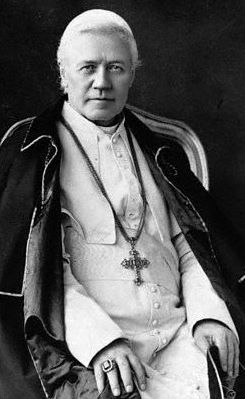 In response to lurid stories slandering patriotic Catholics as “racists”, “white supremacists” and “neo-Nazis” the organisers of the March for Independence issued a Declaration that presents their position on these issues; a position which corresponds exactly with the Church’s traditional Social Doctrine and the historical experience of Christendom. 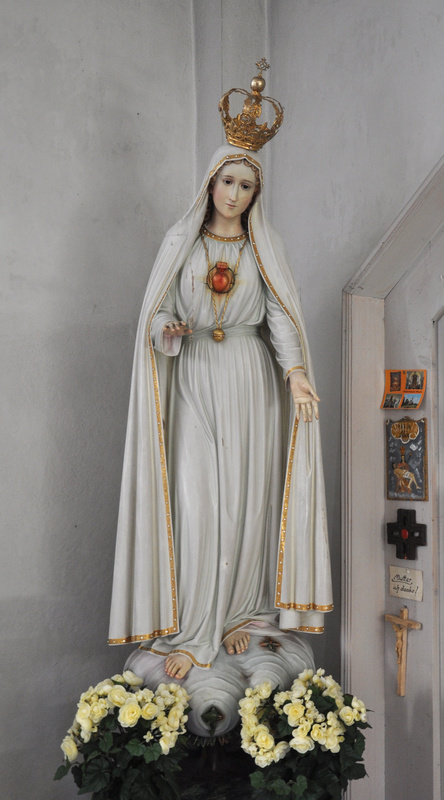 What follows is merely an electronic translation, unfortunately, and although not nearly exact in places it does generally provide the gist of the Declaration and correctly reflects Catholic social doctrines in regard to the issues touched upon. Referring to the ongoing March 2017 Independence Day, we consider it necessary to recall and clarify the views arising from the Polish national idea of ? ?community and national identity. 1. One of the present strengths of the Polish nation, understood as the lasting, organic community of past, present and future generations, is its cultural, religious and ethnic cohesion. This cohesion does not exclude internal wealth and is the foundation of the security and harmonious development of the Polish nation. The prudent concern for properly understood cultural, religious and ethnic cohesion belongs to the tradition of Polish national thought. 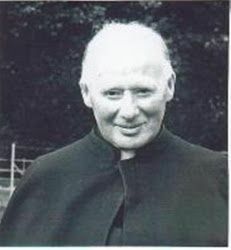 This postulate is also consistent with the order for the common good, present in Catholic morality and with the right of peoples to existence and independence contained in the social doctrine of the Church. The source of our attitude is love for our nation, in every dimension of its existence. The expression of such an attitude can not be chauvinism or hatred towards other peoples. 2. It is a prerequisite for the preservation of the cohesion of the Polish national community that our people of Polish ethnicity, Polish culture and Catholic religion predominate in our country. For this reason, we are opposed to immigrating to Poland groups of people of different origins, cultures or other religions, which could create alien enclaves, becoming the basis of future internal conflicts. As a nation we have the right and the duty to choose our own immigration policy in line with our community interests. We also believe that the whole family of Christian European nations should truly guard the borders of Europe and define the rules of asylum and immigration policy in such a way as to ensure that our continent remains European. 3. The requirement of national cohesion does not exclude the belonging to the Polish nation of individuals or families who, despite differing from Polish origin, culture or religion, still have a Polish identity, feel part of the Polish nation and express their will to assimilate. Life serves our Homeland. Such people do not threaten the integrity of the nation. The desire to live for Poland and its inhabitants, supported by real actions and genuine participation in the national spirit community, makes the Pole much more than purely biological ones, for which there is no true patriotism. The history of Poland, as well as contemporary Poland, knows cases of distinguished Poles who differ from the majority of the nation by ethnicity, customs or religion. By their contribution to the culture of the nation, its social, political or economic life, they strengthen the strength of the national community. It is important to emphasize this fact in spite of the fact that opposite examples can be found. 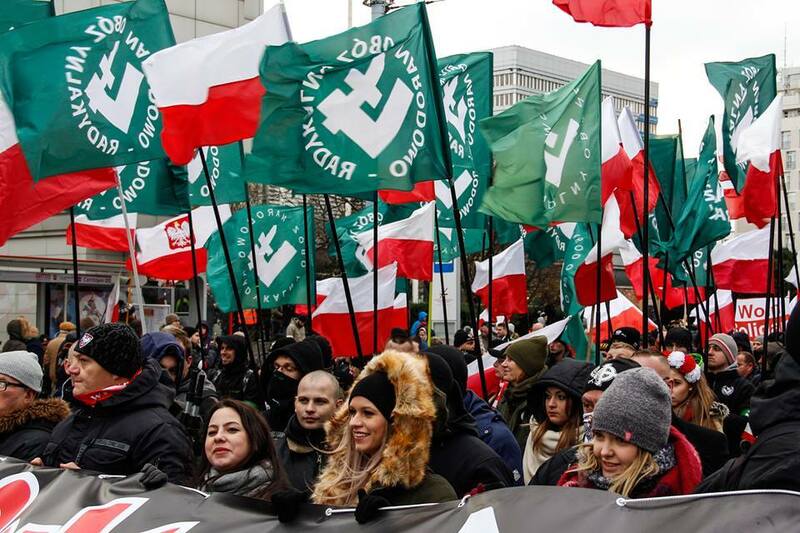 Poles who do not feel connected to the national community, negate their identity and act to the detriment of their homeland, will find, however, the whole spectrum of society, regardless of their origin. 4. We reject racism and all social and political doctrines based on the notion of race. They erroneously recognize races as an important reference point in politics and social life and strongly overestimate the importance of biological differences between people. 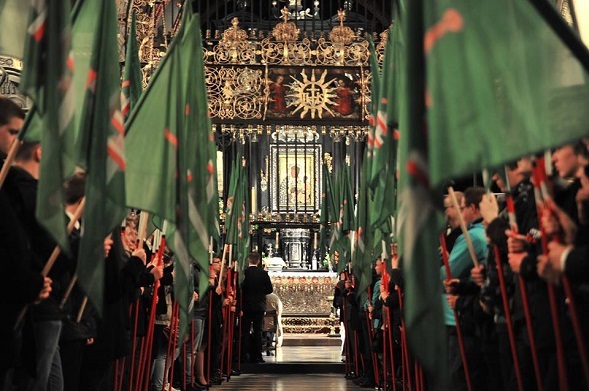 The essence of Polish Christian nationalism is love for one’s own nation. 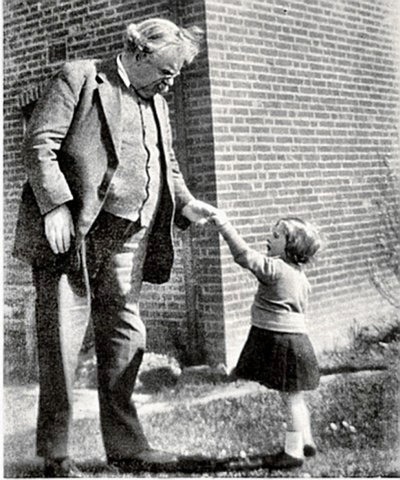 In the national and Catholic ideas, it is not possible for a person of a foreign ethnicity to become a Pole through his education, his work and the will to assimilate. We reject the claim that the Polish nation has no right to adopt a person of Polish identity to his or her identity only because it differs in ethnicity or appearance. We oppose the perception of nationality solely through the prism of blood and origin – this is a perspective that is contrary to all Polish tradition and history. Also with the tradition of the Polish national camp, which fought in full against the German National Socialists, of which we are proud. 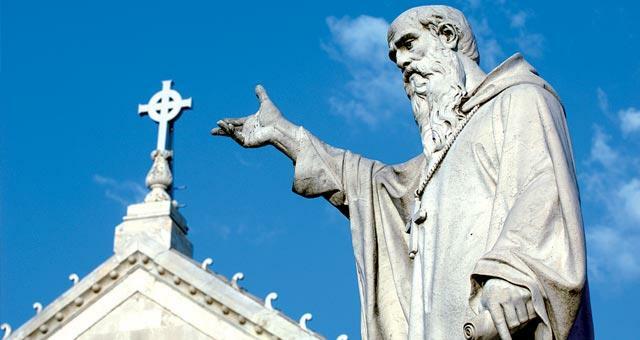 There is no place in the ranks of national organizations trying to attract the national movement contrary to its tradition and Catholic thought. 5. At the same time, we are firmly opposed to mass immigration to Poland from other cultural circles and to bringing to our land people who are not interested in assimilation. This threatens the creation of an enclave of foreign cultures, religions or nations in Poland. This requirement also applies to large populations of European origin from the east of the continent. We oppose the ideology of multiculturalism and its accompanying view that the so-called multiculturalism and ethnic diversity have some intrinsic value or are intended to be targeted and promoted through special programs. We reject political correctness in analyzing the issue of nationality and naive, superficial understanding of assimilation to the nation, and defining the nation in isolation from the traditional criteria of its coherence and constituting its community identity. We reject the so-called. Citizenship or constitutionalism as internally contradictory and oppose the claim that the acquisition of Polish citizenship automatically makes the Pole. Diagnosis of the challenges of national policy is based on the basis of truth and fair analysis of the Polish national interest, not on the ideological moods either from the center or from the margins of public debate. 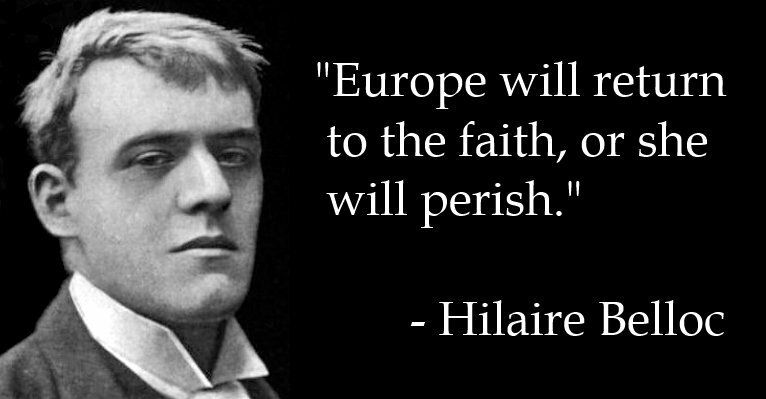 “Europe will return to the Faith, or she will perish. The Faith is Europe. And Europe is the Faith”. An historical reconstruction from Sweden of the Holy Sacrifice of the Mass in the Roman Rite as it would have been celebrated on the 18th Sunday after Pentecost, 4th October, 1450. The booklet New Mass or Traditional Mass: A question of Faith provides 60 reasons why, in conscience, faithful Catholics should not assist at the Novus Ordo Missae of Paul VI, whether in the Latin or the vernacular, whether celebrated facing the people or towards the East. 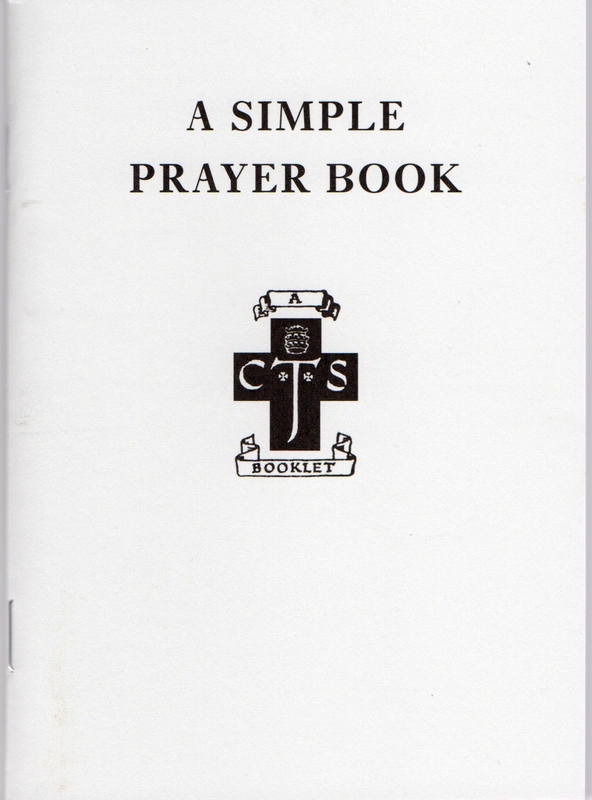 Compiled by priests of the Diocese of Campos in Brazil in the early 1980’s the study was accurately translated into English and is published by The Saint George Educational Trust.